Pearce's First Strike Gets 'Em Talking; Hard-Edged Consultant Surfaces, And: Dems Mull Senate, Plus: Will Eclipse's Dark Days Shadow Politicos? Steve Pearce turned the tables on Heather Wilson by launching the first strike in the already heated contest for the GOP US senate nomination, aggressively taking the role the ABQ congresswoman has usually assumed and sparking expectations for further battle between the two NM US House Reps.
Pearce's automatic phone call into 130,000 Republican households Thursday night defending his vote to uphold President Bush's veto of SCHIP--children's health insurance program--was the kind of surprise attack and defense of hard-edged conservatism that is the trademark of New York based political consultant Arthur Finkelstein. His firm, D.C. insiders say, will be Pearce's lead consultant in the epic battle for the state's first open US senate seat since 1972. Whether Pearce's first strike in which his campaign says 13,000 R's ended up hanging around for a conference call with the congressman was the brainchild of Finkelstein or not, his presence in the campaign is notable. He started in '72 with Nixon, He made his name large in '94 when he managed the upset New York governor win of George Pataki over Democrat Mario Cuomo. Along the way, he was credited with making "liberal" a dirty word. He is also known for hammering home a single message and doing it with great repetition. But he loses, too. His efforts to derail Hillary Clinton's New York Senate campaign went nowhere. Pearce used Finkelstein to consult his '06 campaign against Democrat Al Kissling, but there wasn't much need for hardball as Kissling never raised enough cash to become a serious threat. That's all changed. Heather, who is known for launching preemptive strikes of her own, is no longer dealing with Democrats who have a historically weak record when it comes to negative campaigning. As ABQ Tribune editor Phil Casaus noted, this will be "the toughest fight of Wilson's political career." Pearce's aggressiveness did leave him open to a counterpunch that his Thursday night phone calls refereed folks to his official US House Web site, not one from a campaign which Wilson charged was a violation of House rules. But Pearce was apparently willing take that minor hit in exchange for shaking up the race. On Saturday, I interviewed with KOB-TV and reporter Chris Ornelas about the Pearce ploy and Heather's response. Pearce's first strike was both offensive and defensive. The SCHIP veto was not popular with all Republicans--Heather voted to override the President--but by vigorously defending his vote Peace firmed up his support with conservative R's and took some of the wind out of any Wilson attack on the issue, if it comes. Finkelstein is a character in his own right. Despite being an advocate for conservative Republicans, many of whom favor a constitutional amendment to ban gay marriage, in 2005 he made news when he affirmed that he was gay and married his longtime partner in a civil ceremony in Massachusetts. That didn't stop Pearce from keeping Finkelstein on the payroll. In '06 He paid the New Yorker nearly $92,000. Some R's in ultraconservative areas may be uptight about Finkelstein's background; other R's will argue it shows that Pearce harbors no prejudice, a plus as his foes seek to paint him as an extremist. Consultants are an unlikely issue in this campaign; it's the candidates, but who the contenders surround themselves with gives clues to how they will conduct themselves. Pearce's first play telegraphs that while fighting without gloves may not be his preferred method, he is as ready as Wilson for a match featuring bloody knuckles. Who will throw the next punch? Stay tuned. On the Democratic side of the senate equation, uneasiness continues. For many, Marty Chavez and Don Wiviott don't cut the mustard. They want Governor Big Bill to come in if his Prez campaign falters. The clarion call is now going out in the national media with the liberal New Republic (subscription required) actually calling for Bill to drop out of the Prez race right now and go for the Senate. Richardson, of course, has the right to nurse his hopeless presidential ambitions until his fellow Democrats unmercifully crush them in the actual caucuses and primaries. But, if Richardson truly cared about his party--not to mention his country--he would give up that right, abandon his presidential campaign, and toss his hat in the ring for the U.S. Senate. After all, while Richardson won't be in the White House come 2009, there's a good chance that another Democrat will be. And that president will need all the help she--or he--can get. If you had trouble translating what Eclipse Aviation was saying about its future status when it announced the layoffs of 10% of it's workforce, you're not alone. The company's tortuous explanation, followed by more shades of gray from city officials, did not address the real story, according to aviation insiders. 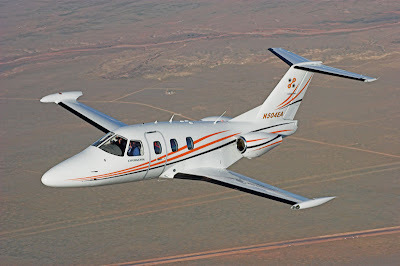 That story is that the light jet manufacturer which has received $100 million in cash and tax incentives from New Mexico taxpayers, is in financial trouble. Stan Blankenship, an aviation expert, has been blogging this story for nearly two years with assists from aviation insiders around the country. Despite repeated warnings, they were paid little mind. Maybe that will change because the proverbial chickens appear to be coming home to roost. It was only a couple of weeks ago that ABQ Mayor Marty Chavez chose Eclipse as the backdrop for his announcement that he will seek the 2008 Dem senate nomination, showcasing Eclipse as a model for economic success. He has been among the strongest advocates for public subsidies for the company. 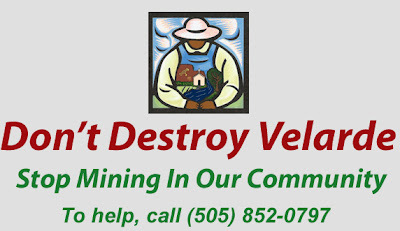 He has been joined in that support by Big Bill, Congresswoman Wilson and Senators Domenici and Bingaman and assorted legislators. But Eclipse is nowhere near to annually producing the 500-600 planes it needs to just break even. The thousands of "high-wage" permanent jobs the politicos promised are in doubt. The bombastic CEO of Eclipse, Vern Raburn, who sold the state and city on a massive public investment in his start-up, is going to have to pull a rabbit out of his hat and soon. Chavez, who was manhandled for his fiscal policies when he lost the '98 Governor's race, better hope Vern does, or those photos of him announcing at Eclipse are going to look like shots from Halloween IV. If this was a private venture, it would be just another business deal gone bad for high-risk investors. But critics point out this involves an investment of the public's money and credibility and are calling for oversight and investigation by the Legislature, the ABQ City Council, Mayor Chavez and the press. Someone may want to start asking questions now while there's still a chance for a take-off. Otherwise, they may be gathered at the scene of a fatal crash. 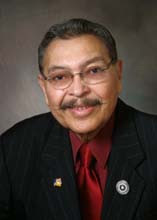 From the Governor's office Sunday night: "Governor Richardson will order flags to fly at half-staff beginning Monday in memory of Rep. Manuel Herrera, who died this weekend following a long battle with cancer. Thanks for stopping by. Email your news and thoughts.